The Wine Reserve is an independent family wine merchant with over 40 years experience. Their website offers an unrivalled selection of quality wines, all available to buy by the mixed case at highly competitive prices. 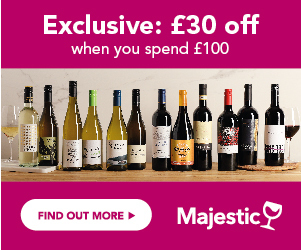 All their wines are available to buy online with free delivery when you spend £100 or more. You can now buy single bottles of wine & Champagne. Plus, you will enjoy cheaper prices when you mix any 6 bottles! Enjoy free delivery on all orders over £100 to mainland UK. For orders under this amount, you will be charged £5.99. Deliveries usually take up to three working days. There is no minimum purchase at The Wine Reserve so you can buy single bottles. However, you will receive extra discounts when you buy any 6 bottles!